Eastbound PB-100 with BM 1733, 1564, 1746. 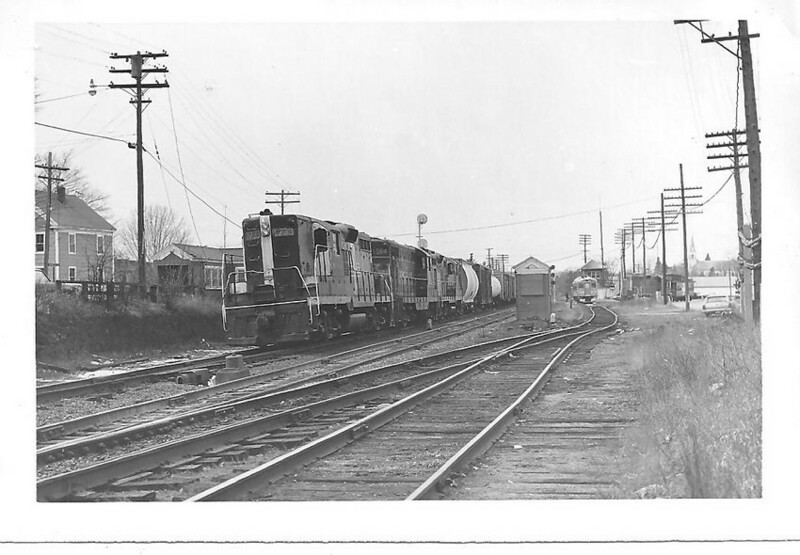 Note the pedestrian underpass entrance way, buddcars on West Main St and local engine and caboose on the Hollis Branch. Photographed by Bruce S Nelson, December, 1973. Added to the photo archive by Bruce Nelson, March 14, 2010.